In 2019, three unique satellite conferences: 2019 EUMETSAT Meteorological Satellite Conference; 23rd AMS Satellite Meteorology, Oceanography and Climatology Conference; and 2019 NOAA Satellite Users Conference; will be merged into one major event. The 2019 Joint Satellite Conference will take place in Boston, MA, 28 September–4 October 2019. Deadline for abstract submission is 1 March 2019. 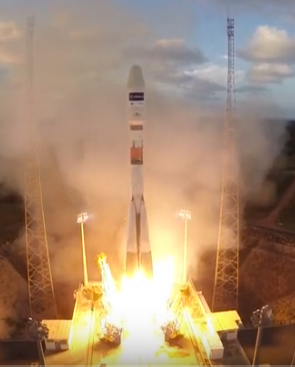 GK-2A was launched into space aboard Ariane 5, from the European Spaceport in Kourou, French Guiana. 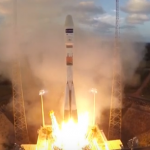 GEO-KOMPSAT-2A (GK-2A), a South Korean geostationary meteorological satellite, was successfully launched from the European Spaceport in Kourou, French Guiana, on the evening of Tuesday the 4th of December 2018. Covering the Asia-Pacific region, GK-2A is designed to conduct meteorological and space weather monitoring missions. GK-2A is also equipped with KSEM (Korean Space Weather Monitoring) instrument package, which will be used to monitor the near-Earth space weather conditions that affect a number of human activities. You can watch this successful launch below. EUMETSAT and the Copernicus Atmosphere Monitoring Service/ECMWF are running an open online course on Monitoring Atmospheric Composition, starting on Monday 5 November 2018. The course, which runs over five weeks, will give participants the chance to discover the space, air, and ground-based technologies used to monitor and forecast air quality around the globe. Data availability and access will be explained. Participants will also explore the critical threats affecting the atmosphere and its composition, how these affect human health, climate change, and ecosystems.